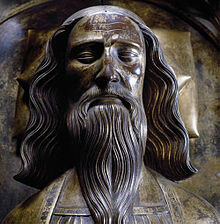 Edward III (13 November 1312 – 21 Juin 1377) wis Keeng o Ingland frae 25 Januar 1327 till his daith; he is notit for his militar success an for restorin ryal authority efter the disastrous ring o his faither, Edward II. Edward III transformed the Kinrick o Ingland intae ane o the maist formidable militar pouers in Europe. His lang ring of 50 years wis the seicont langest in medieval Ingland (efter that o his great-grandfaither Henry III) an saw vital developments in legislation an govrenment, in pairteecular the evolution o the Inglis pairlament, as weel as the ravages o the Black Daith. Edward wis crouned at age fowerteen efter his faither wis deponed bi his mither, Isabella o Fraunce, an her luver Roger Mortimer. At age seiventeen he led a successfu coup d'état against Mortimer, the de facto ruler o the kintra, an begoud his personal ring. Efter a successfu campaign in Scotland he declared himsel richtfu heir tae the French throne in 1337. This stairtit whit becam kent as the Hunder Years' War. Follaein some ineetial setbacks, this first phase o the war went exceptionally weel for Ingland; veectories at Crécy an Poitiers led tae the heichly favourable Treaty o Brétigny, in that Ingland made territorial gains, an Edward renoonced his claim tae the French throne. This phase wad acome kent as the Edwardian War. Edward's later years war merkit bi internaitional failyie an domestic strife, lairgely as a result o his inactivity an puir heal. Edward III wis a temperamental man but capable o unuisual clemency. He wis in mony weys a conventional keeng that's main interest wis warfare. Admired in his awn time an for centuries efter, Edward wis denoonced as an irresponsible adventurer bi later Whig historians sic as William Stubbs. This view has been challenged recently an modren historians creedit him wi some signeeficant achievements. ↑ Edward first styled himsel "Keeng o Fraunce" in 1337, tho he did nae assume the teetle till 1340; Prestwich (2005), pp. 307–8. ↑ Mortimer (2006), p. 1. This page wis last eeditit on 25 Mairch 2019, at 19:02.